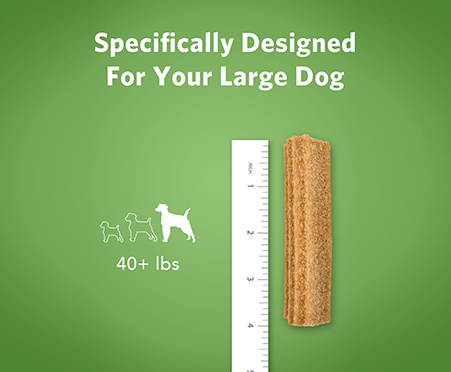 Does Your Dog’s Mouth Have a Dirty Little Secret? 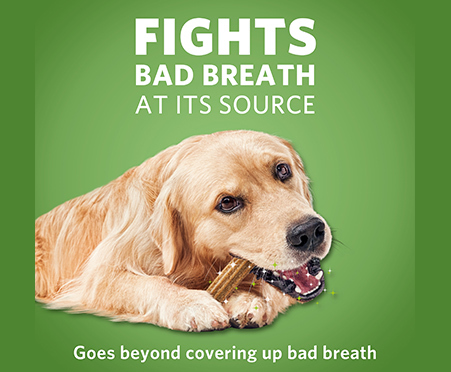 Your dog’s bad breath can be one of the few outward signs of dental problems lurking just below the surface. 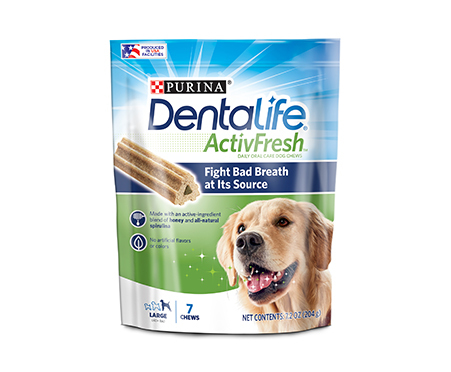 Made with an active ingredient blend of honey and natural spirulina, DentaLife ActivFresh™ Daily Oral Care is scientifically tested to fight bad breath at the source. 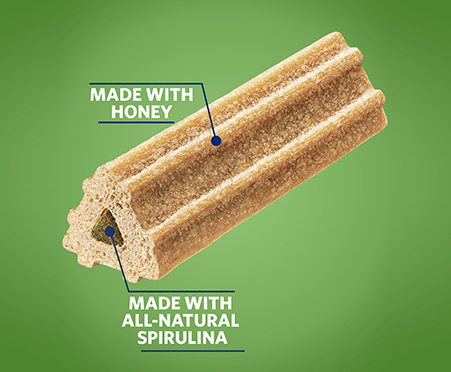 Inactive Ingredients: Animal Fat Preserved with Mixed-Tocopherols, BHA (a Preservative), BHT (a Preservative), Calcium Carbonate, Calcium Propionate (a Preservative), Calcium Stearate, Chicken By-Product Meal, Citric Acid, Gelatin, Glycerin, Malted Barley Flour, Mono and Dicalcium Phosphate, Phosphoric Acid, Rice, Salt, Sodium Bicarbonate, Sodium Caseinate, Sorbic Acid, Soy Lecithin, Sugar, Water, Wheat Flour, Wheat Gluten, Wheat Starch.